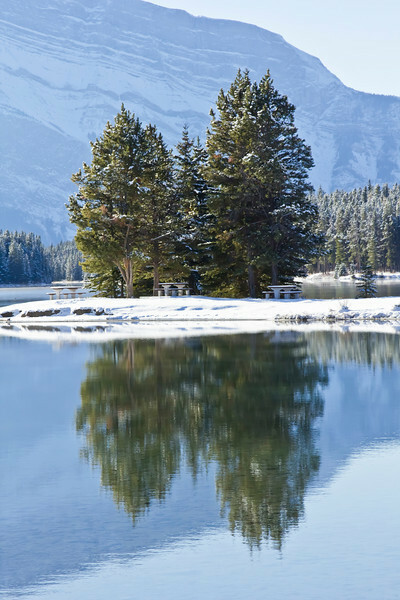 Banff National Park is Canada's oldest national park located in the Rocky Mountains west of Calgary in the province of Alberta, Canada. 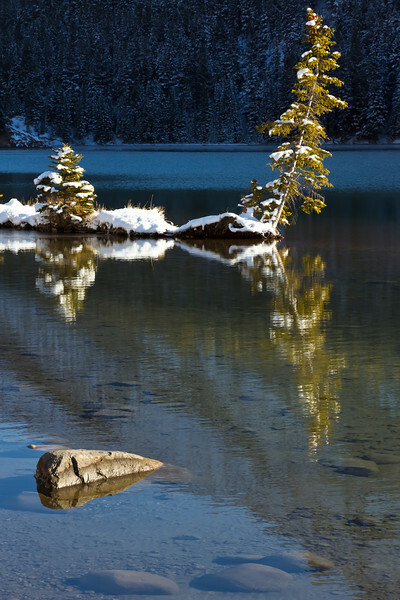 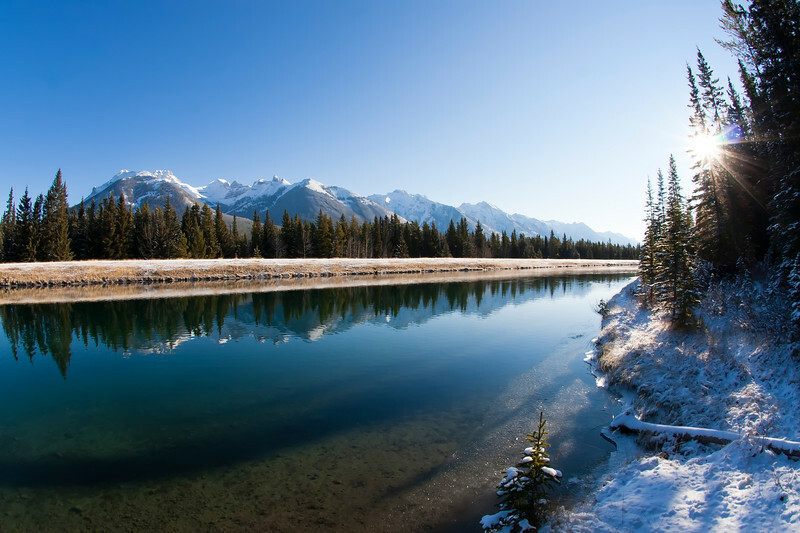 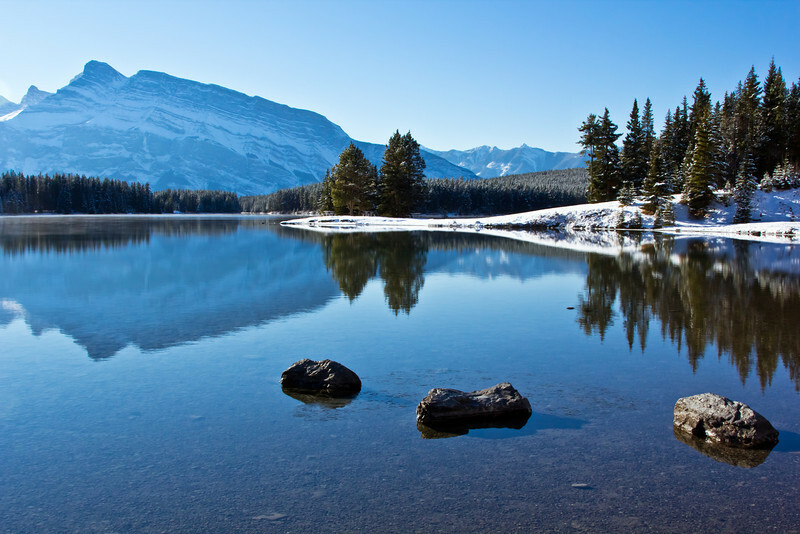 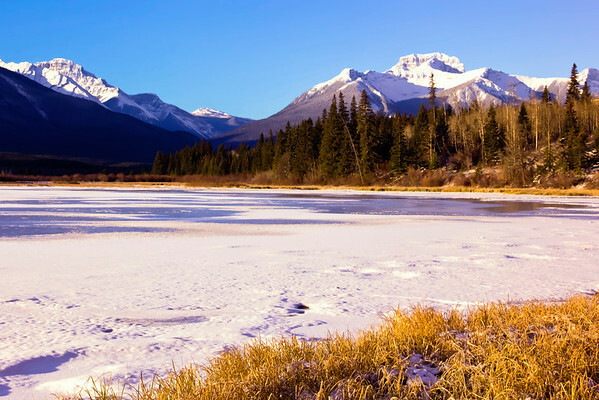 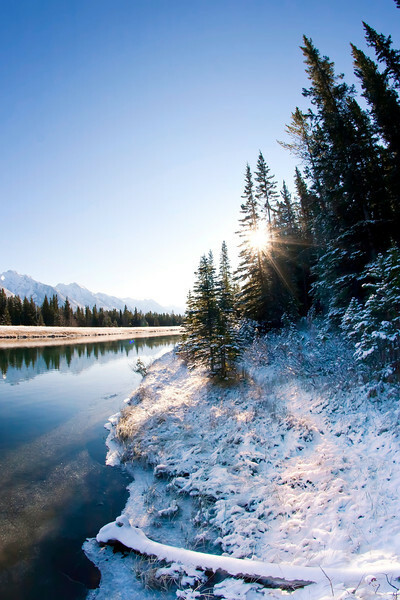 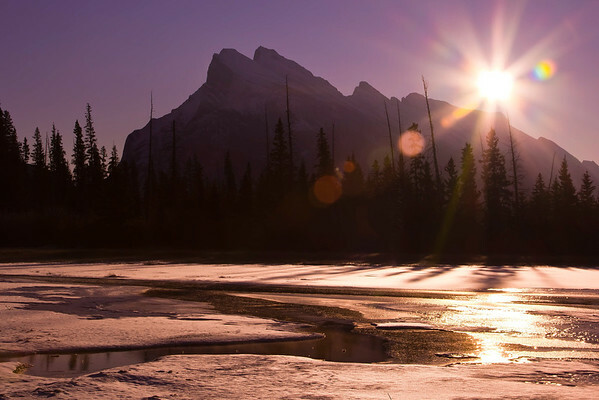 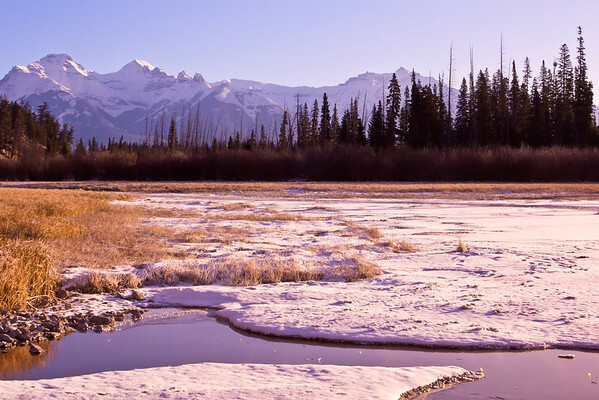 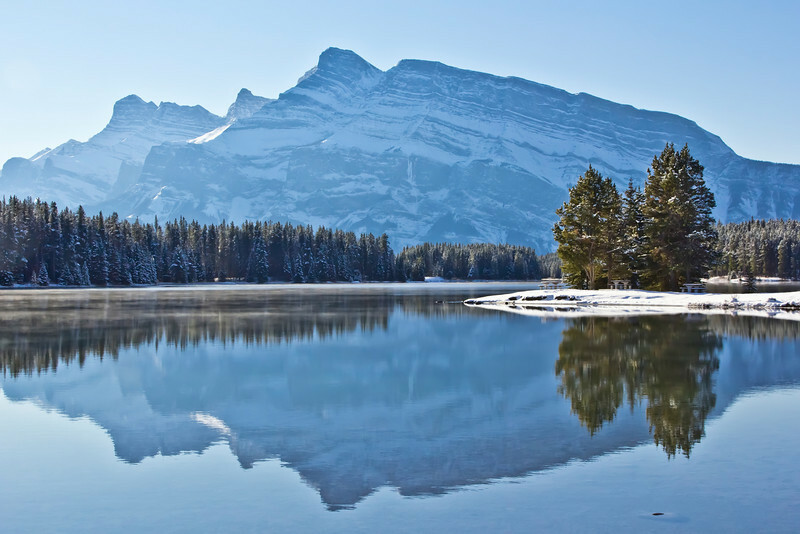 Banff has many natural valleys, mountains, glaciers, forests, meadows and rivers. 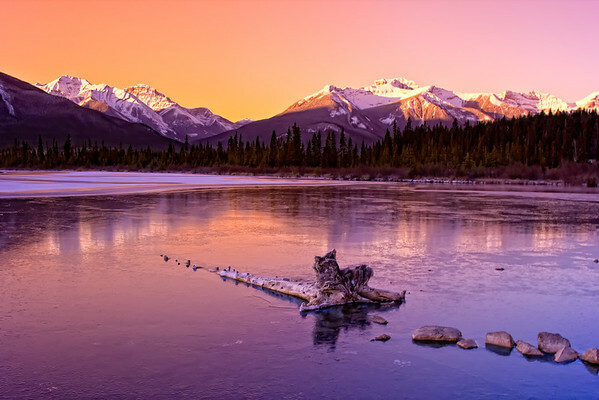 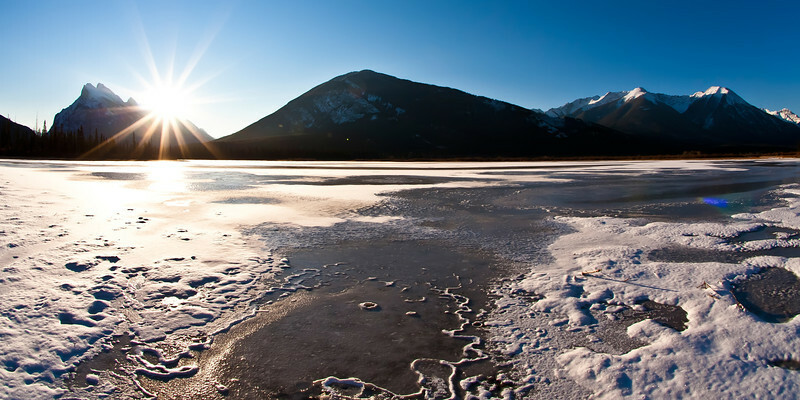 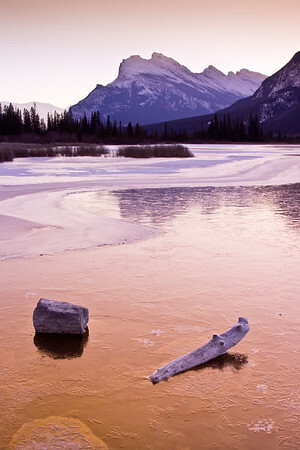 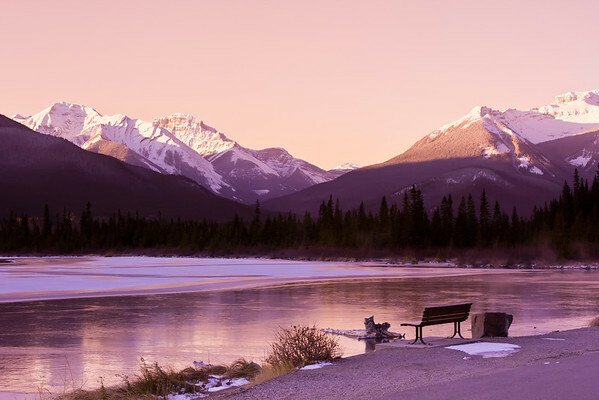 Sunrise over the frozen waters of the Vermillion Lakes with Rocky Mountains in the distance near Banff, Alberta, Canada.